Just recently I was sent a link of a live performance by TN’T that I hadn’t seen before. It was the Harlem Music Showcase series Harlem NYC published by Black Latino Media. Though the performance is from several years back it may be our most relevant live performance ever. 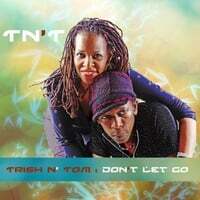 Trish and I were performing songs from our new release Don’t Let Go for the first time. But what makes it even more relevant, is it was our last time on stage together as shortly afterwards Trish was diagnosed with GBM.